Karen Sue “Susie” Barnes, 69, of Mt. Vernon, Missouri, passed away suddenly on January 21, 2019. 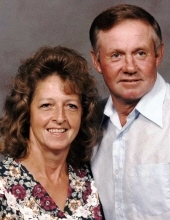 Susie was born on December 22, 1949, to Melvin and Mary (Maples) Jones of Taney County. She married Rodney Barnes on January 22, 1966. The two of them looked forward to celebrating their 53rd wedding anniversary this year. They had four children, Scott, Teresa, Dana, and Lori. Together, Rodney and Susie spent much of their time running a successful dairy farm in Miller, Missouri. Susie actively attended James River Assembly. She will be fondly remembered for her exquisite cooking skills, genuine concern for others, infectious laugh, and an unwavering love for the Lord. Susie also had quite the competitive spirit, especially while on family hunting trips. She was preceded in death by her parents, Melvin and Mary Jones and brother Melvin Jones Jr.
Susie is survived by her husband Rodney Barnes; children, Scott Barnes (Heather) of Miller, Teresa Goodman (Daryl) of Bois D’Arc, Dana Weldy (Ronnie), and Lori Hicks (Steve) of Mt. Vernon; grandchildren, Lindsay Wells (Dustin), Ashton Botts (Brent), Stephanie Barnes, Derrick Goodman, Randal Barnes, Danielle Goodman, Auston Weldy (Logan), Morgan Plummer (Corey), Robert Barnes, Makayla Jack (Jordan), Colton Hicks, Caitlin Hicks, Saydie Barnes, Audrey Barnes, and Lexie Weldy; great-grandchildren, Keagan, Khloe, and Kipton Botts; siblings, Doug Jones, Sandy Burk (Gary), Sally Foulk (Edward), Tim Jones, and sister-in-laws Linda Jones and Liz Jones. A funeral service under the direction of the Fossett-Mosher Funeral Home in Mt. Vernon will be held at 10:00 a.m. on Friday, January 25, 2019, at the Church in Action in Mt. Vernon. Burial will follow at the Summit Cemetery northeast of Mt. Vernon. Visitation will be held from 5:00-7:00 p.m. on Thursday, January 24, 2019, in the funeral home chapel. Memorial contributions may be made to Emergency Services for Children in care of the funeral home. To plant a tree in memory of Karen Sue Barnes, please visit our Tribute Store. Memorial donations may be made payable to the Emergency Children's Service, in care of the funeral home. "Email Address" would like to share the life celebration of Karen Sue Barnes. Click on the "link" to go to share a favorite memory or leave a condolence message for the family.